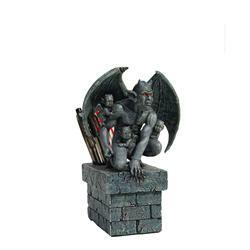 When you display any type of Gargoyle you are creating a statement of meaning. 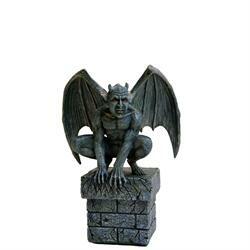 A Gargoyle typically symbolizes guardianship or security on the property it is found on. It is said to protect against evil spirits and was used in ancient times to communicate religious ideas of protection when mounted. 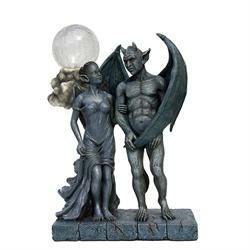 They are believed to activate in the darkness of the night, and those images with wings watch the entire community against bad spirits the whole night, and return to their places during sunrise. 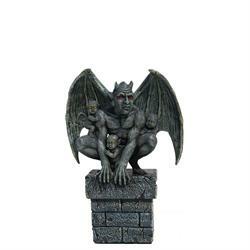 The protective meaning of gargoyles has been around since ancient times. 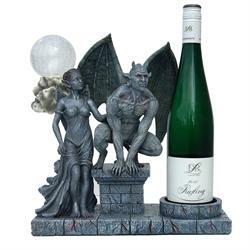 The popularity of these has constantly increased due to their unique appearance and mystical representation.When incorporating gargoyles to your home or office, you are bringing in a sense of mythical protection. 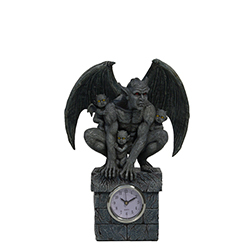 In the beginning, gargoyles used to be for decoration purposes alone, and were also called “chimeras,” but some hints that have been observed with their presence led to the meaning of gargoyle tattoos as protection for the bearer. It became a common belief that indeed they have the ability to flush out evil forces. The image of a griffin is a popular form of “chimera,” as well as a combination of different types of animals. It can be an eagle’s head and wings with a lion’s body. 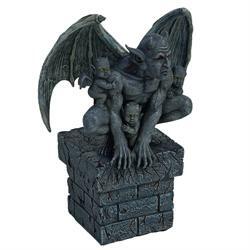 - Gargoyles were inspired by the skeletal remains and bones of dinosaurs found by the Greek and Roman paleontologists. - One telling story related by the Bros., via medieval villagers, concerns a 7th-Century dragon called "La Gargouille," who would ascend from his cave near the river Seine to swallow ships and wreak havoc on nearby towns. To appease him, the villagers of Rouen would sacrifice a convict to La Gargouille every year and hope for the best. One day, a brave priest visiting Rouen offered to subdue the beast if, in exchange, the citizens of the town would build a church in his honor and agree to be baptized. The townsfolk agreed, and the priest was able to leash the dragon and bring him to the center of town to be burned at the stake. Only the dragon's head and neck would not burn, inured as they were to their owner's incendiary breath. 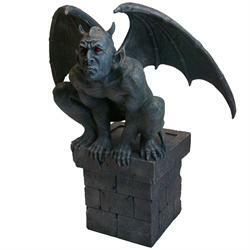 It is probably based on this story that the heads and necks of monstrous creatures became popular motifs for medieval rain spouts, which is what is technically meant by the term "gargoyle." The rain spouts spurted more than just rain however; just imagine the daily sewage puked by a gurning gargoyle. A medieval denizen would do well to sidestep these creatures.